This week, CNN will present the premiere of "Blackfish," a documentary that traces the history of killer whales in captivity leading up to the 2010 killing of SeaWorld trainer Dawn Brancheau by Tilikum, an orca previously associated with the death of two other people. This documentary / film depicts how nature shouldn’t always be interfered with and the consequences of pushing animals over their natural limit. The 2013 documentary tells the tragic story of how bull orca Tilikum was involved in the deaths of 3 people during his time in captivity – He is arguably not responsible for his lack of control.Tilikum (or Tilly for short) is the largest orca in captivity and weighs an astonishing 12,000 pounds. He was captured at the age of 2 along with two other orca’s just off the east coast of Iceland in 1983 and was taken to Sealand of the Pacific. 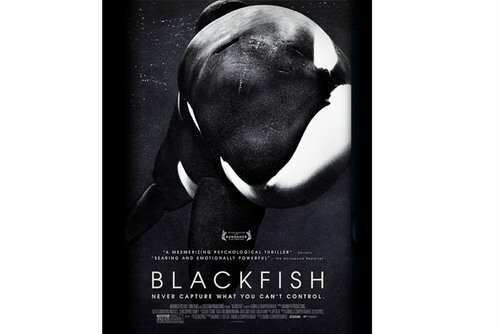 Once there he was kept with two other female orca’s and in the documentary, it outlines how punishment and food deprivation was used to train the animals – more specifically, when training Tilly, if he did not perform the command as they wanted him to, all three whales would be punished. 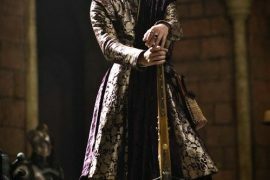 This lead to the females ‘raking’ Tilly – in other words, they would grind their teeth against his skin which would leave deep marks and sometimes blood (an example of what this looks like can be seen below). 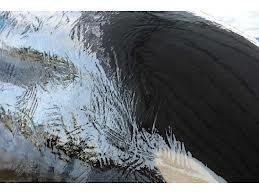 At night, to prevent the whales escaping or being released, the three whales were kept in a 20 X 30ft metal box – as the orca’s increased in size with age, the females began regularly attacking Tilly, which may be an explanation for his later misbehaviour and aggression. 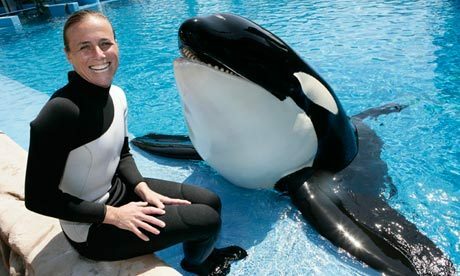 The first death caused by Tilly occurred in 1991 when a 20 year old Marine Biology student slipped into the pool containing Tilly and two other orca’s whilst training to work at Sealand – she was dragged around under the water and was prevented from surfacing by the orca’s and despite the efforts of the trainers to rescue her, she drowned. Shortly afterwards, Tilly was moved to SeaWorld Orlando, Florida and Sealand of the Pacific was closed down. The second death was in 1999 when a 27 year old man visited SeaWorld during the day, and waited until the park had closed and subsequently bypassed security to enter the orca tank.He was found dead, naked and draped over Tilly’s back – a post-mortem concluded that he had died from hypothermia and drowning. Finally, the third death occurred in 2010 when a 40 year old trainer was pulled into the water by Tilly and died by blunt force trauma and drowning. She was rubbing Tilly as part of a post-show routine and was grabbed on the arm and pulled under the water. Interestingly, to this day, there is no record of anyone being harmed by an orca in the wild. This raises many questions about the treatment of the orcas growing up, and how this may lead to them becoming aggressive towards humans. 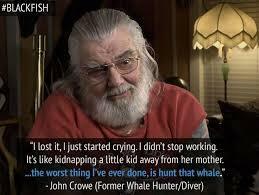 Blackfish focusses mainly on these events and outlines the dangers of keeping killer whales captive. It also highlights the psychological distress that the animals go through once captured in order to prepare them to be trained by humans, as they believe that such things have contributed to Tilikum’s aggression. SeaWorld has since suffered a $15.9 million dollar loss which may be attributable to the production this film which exposed such poor treatment of their animals and the cruelty which is sometimes involved in training them.